RacingPost has quite a few tributes to the great chaser. I like to think that Kauto Star was waiting for him on the other side to show him the ropes. Such grand old chasers they were. BaroqueAgain1 wrote: I hate those under tack speed fests that two-year-olds are made to do. And so, do all the horses going through e.g. the "Ocala 2YO in training auction" get breezed at the auction? Or if not, how is it determined who does and who does not? I believe its up to the seller but they have to either breeze or gallop. There was an article earlier this year about a consignor who didn't want his horses breezed. They were only going to gallop. I'm glad to hear there's at least a little sanity in all this. Montauk injured during workout - euthanized. Ballerina wrote: Montauk injured during workout - euthanized. And, breaking a shoulder seems uncommon, without a fall. RIP Montauk. Since he's well-known in our industry, I'm posting this here. Such a horrible tragedy, I can't even imagine the pain and grief. Prayers for the family. The 19-month-old daughter of U.S. Olympic skier Bode Miller drowned in a Southern California swimming pool, authorities said Monday. Emeline Miller died at an Orange County hospital Sunday, the day after paramedics tried unsuccessfully to revive her after the drowning incident. “We are beyond devastated,” Miller said in an Instagram post that showed several photos of the blonde, blue-eyed, chubby-cheeked toddler. One photo showed her covered in suds in a tub and another showed her smiling as she pushed two baby dolls in a pink stroller on a street with large homes in the background. Fly with the angels, little Emmy. My deepest sympathy to her family. The acorn didn't fall far from the tree when it came to Olin B. Gentry and horsemanship. 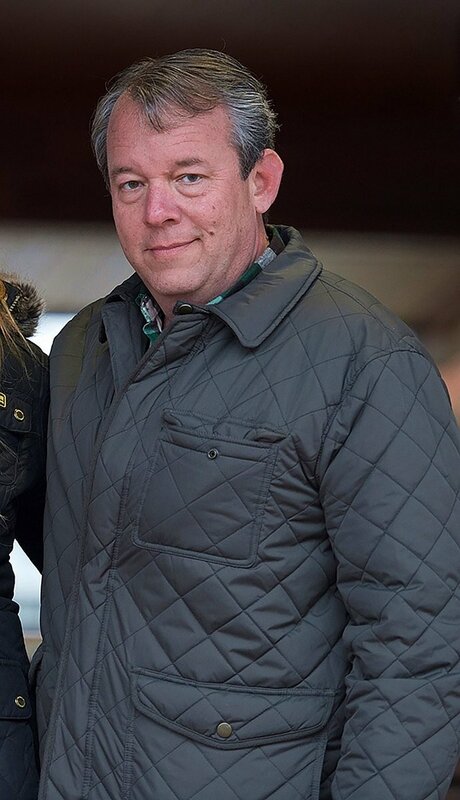 The son and grandson of two iconic figures in the Thoroughbred industry, Gentry died June 16 at age 51, one day after he collapsed while attending the Ocala Breeders' Sales June 2-year-olds in training sale in Ocala, Fla.
Gentry is survived by his son, Olin Gentry II, and his life partner, Athena Gentry. Gentry was the son of the Tom Gentry, an innovative horseman who died in October at age 80 and whose sales techniques ushered in a new era into the yearling sales arena with showmanship and entertainment. He was the grandson of Olin Gentry, who managed Darby Dan Farm, King Ranch, and Gainesway Farm. "He brought horsemanship expertise par excellence to the partnership," said Tom VanMeter, who had been partners with Gentry in various equine ventures, mostly recently VanMeter/Gentry Sales. "We've been partners on and off in horse deals and other entrepreneur projects for at least 25 years. He was always there. He knew how to look a horse, he knew pedigrees, and he knew how to relate with clients. He was an amazing partner and an amazing horseman. "He was bred into it," VanMeter said, noting that Gentry began working with his father at an early age. "We have a photo of him showing Terlingua to buyers at the yearling sale when he was 8. The important thing about that photo is that at age 8 his eyes are only on Terlingua's eyes. The sign of a true horseman." Terlingua, sold to trainer D. Wayne Lukas at the Keeneland July sale and purchased her for $275,000 for the partnership of Barry Beal and L.R. French Jr., was a three-time grade 2 winner who made a lasting contribution to the industry as the dam of leading sire Storm Cat. Gentry was instrumental in the success of the John R. Gaines Bloodstock in partnership with the former Gainesway Farm owner and then with Thomas R. Gaines operated Gaines-Gentry Thoroughbreds. George Weaver's Freeze The Account broke down midstretch dueling for lead in Belmont 4th 6/17/18. RIP. I think I saw that race, and the horse who went wrong tried to keep going, all while struggling to maintain its feet. As it fell, it took down the horse to its inside, throwing that horse into the inside rail. RIP Freeze the Account, but, with as violent as that two-horse spill was, we are lucky that we didn't lose two horses and/or the two riders who went down hard. Radiant Flower died June 19 at age 31. She had produced G3SW Radiant Megan. Not noted in the brief article, her dam was a full sister to Vaguely Noble. Graded stakes winner Untrapped, a starter in the 2017 Kentucky Derby Presented by Yum! 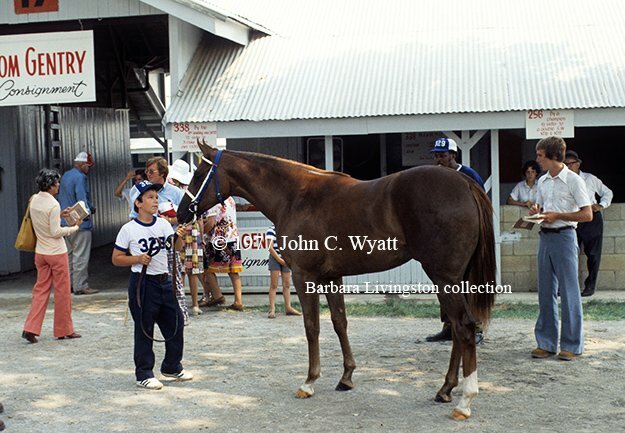 Brands (G1), was euthanized June 25 due to the onset of laminitis, owner Michael Langford confirmed the following day. The winner of last year's Oklahoma Derby (G3), Untrapped most recently finished in a dead-heat for second with One Liner behind Irish War Cry in the May 18 Pimlico Special Stakes (G3). Langford said the 4-year-old son of Trappe Shot was sent to Rood & Riddle Equine Hospital after suffering a bout of colic about 10 days ago, and developed laminitis as a further complication. "He was at Rood & Riddle for about five days, then he was released from the clinic and went to Becky Maker's farm (equine rehab facility in Versailles, Ky.) and they called me yesterday and said the vet would be calling me that Untrapped was trying to founder," Langford said June 26. "By the time the vet called me, he had gotten in pretty bad shape. They just said with what all had happened to him with the colic and stuff, he would not have a very good success rate of recovering. It would be a painful process. So I told the vet, let's do the right thing. "It was just kind of a bad deal. I didn't want him to suffer, no one did. I think we absolutely did the right thing, but I hate it for him." Trained by Hall of Famer Steve Asmussen, Untrapped was one of the more quietly consistent performers in last year's sophomore class. The dark bay colt broke his maiden second time out at Churchill Downs in November 2016, then posted runner-up efforts in both the Lecomte Stakes (G3) and Risen Star Stakes (G2) in his first pair of outings during his 3-year-old season. After running third in the Rebel Stakes (G2) and sixth in the Arkansas Derby (G1), he became the first Kentucky Derby starter for Langford, and finished 12th in the classic. I’m super bummed out about Untrapped’s passing, he was fun to cheer for.